If you follow me on Instagram, you may know that my boyfriend and I plan surprise trips for each other every year for our birthdays. This year, he surprised me with a trip to New York City. It was a fantastic food adventure, and you can read all about it here. 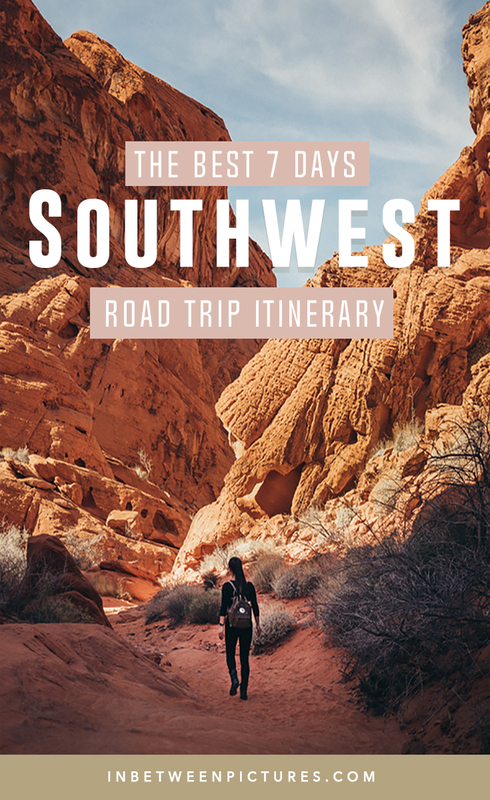 For his birthday, I planned a 7-day Southwest road-trip. After constantly exploring it vicariously on Instagram, I knew the American southwest was the perfect place to take my boyfriend for his suprise trip. Tip: To save time and make our trip more pleasant, I planned two nights in each hotel to avoid checking in and out of hotels every day. My original plan was to skip Vegas altogether and only make it our starting and ending point, but I decided to add an extra day since it was my boyfriend’s first time visiting the Sin City. You can relocate the extra day elsewhere – I recommend adding it to the Grand Canyon or Zion National Park. If you are debating whether or not to visit Las Vegas and you don’t gamble, check out my post: 15 Best Things To Do in Las Vegas if You Don’t Gamble. Tip: Rent your car from a location outside downtown Las Vegas. I saved $140 even after spending $60 for two Uber rides. We picked up our car for the week and made our way to Valley of Fire. The State Park was the place that finally convinced me to embark on the southwest road-trip. 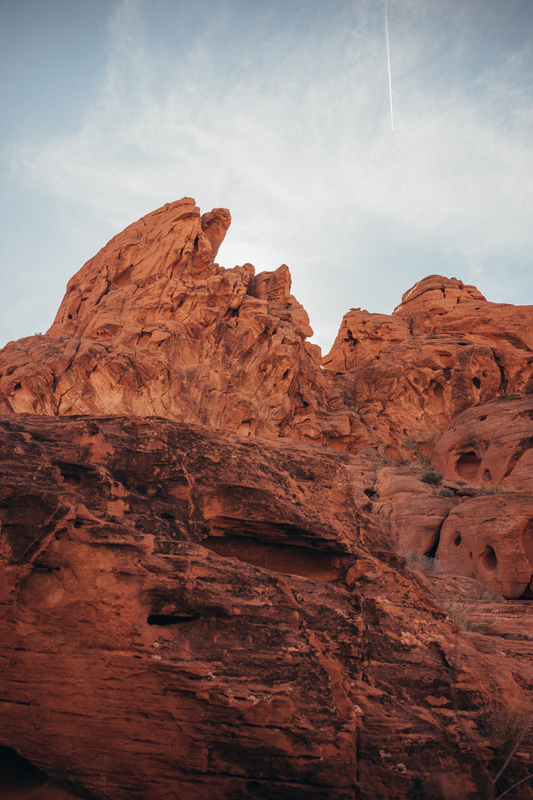 The fiery color – due to the bright red Aztec sandstone - and rocky peaks spoke to the photographer in me. Who wouldn’t want to frolic in a Martian looking landscape? For someone that’s a non-hiker and lives in flat lands, the Fire Wave Hike is perfect. The scenic 1.2-mile trail offers beautiful vistas and colorful boulders. The trail – although marked – gives you some freedom for you to explore around. Just keep in mind the entire path is sun exposed so dress accordingly and stay hydrated. Level: Easy | Duration: 45 min. Another easy hike for you! The Mouse’s Tank Hike is a flat trail that ends at catchment area. The fun part about this hike is the petroglyphs along the way. If you are an adventure traveler, you can camp in the park. For someone that prefers a little more comfort (a.k.a. me) stay in the nearby town of Springdale - which is located at the outskirt of Zion National Park, our next destination. Driving time from Valley of Fire – 2 hours and 25 min. 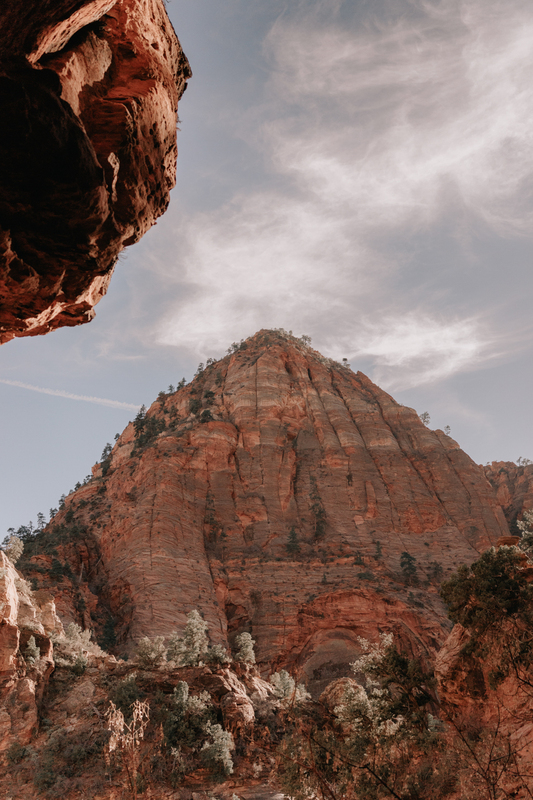 Visited by millions of people – 4.2 million in 2017 to be exact – Zion National Park is one of the most popular parks in the United States just right behind the Grand Canyon. The national park offers a very diverse topography: rock towers, sandstone canyons, river, and sharp cliffs; which makes it so striking to everybody – outdoors aficionados or not. The Canyon Overlook Trail is an adventurous hike (to say the least) and one of my favorites. Yes, it takes a few wide steps to reach the trail, no rail in some areas, and a section of the route is a mere plank. But at the end of the hike, you will be rewarded with a breathtaking vista. Enjoy the view of Zion National Park one last time before heading to the Grand Canyon! As we entered the Zion National Park, we drove part of the scenic drive before heading to the trails as a little prelude. 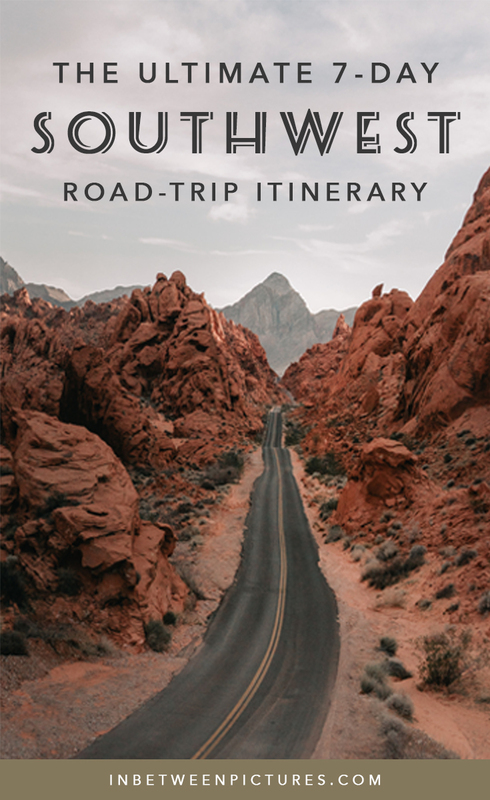 If you want to spend more time on the trails, I recommend leaving the scenic drive for the next day as you will drive through it on your way to the Antelope Canyon or Grand Canyon. Bonus: If you have extra days, check out Aches National Park in Utah as well. We stayed at the Springhill Suites Marriot Hotel in Springdale, which is conveniently located 2 minutes away from Zion National Park’s entrance - there are some other nearby towns like St. George, but I found Springdale's location a lot more convenient. The hotel has a modern chic cabin feel and a spectacular view from the breakfast area. In addition to that, there’s a fireplace where you can sit, relax, and enjoy complimentary hot chocolate – well deserved after a day of hiking. Bonus: breakfast is included! Note: In Springdale, most restaurants and businesses close at 7 PM in the offseason. For a list of restaurants in the town visit their website here. Our favorite place to grap quick lunch was Cafe Solei - their sanswiches are delicious! Luckily, Antelope Canyon and Horseshoe Bend are both located in Page so you can easily tick off both on the same day. Both visits won’t take all day so you can continue your drive to the Grand Canyon afterward. I admit I didn’t research much about Antelope Canyon before visiting. So we arrived unknowingly at the Lower Antelope Canyon and booked the tour right there and then. Aside from us, there were only two other people in our group. The best thing about visiting in low season is that we had the canyon all to ourselves. We didn’t feel rushed, and we took our time exploring and taking photos. Debating whether to visit the upper or lower canyon? 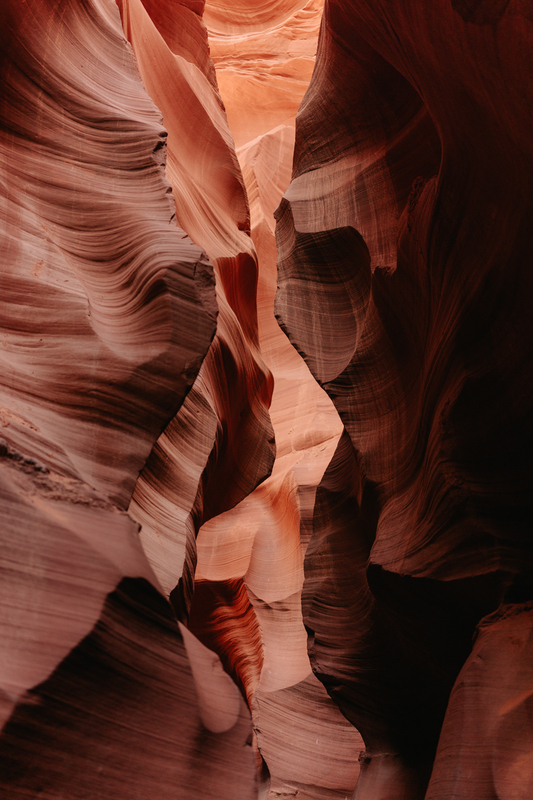 The Lower Antelope is longer and less crowded but doesn’t have the light beams – what made the Upper Antelope Canyon so famous. If you don’t think they are a big deal, choose the Lower Antelope. 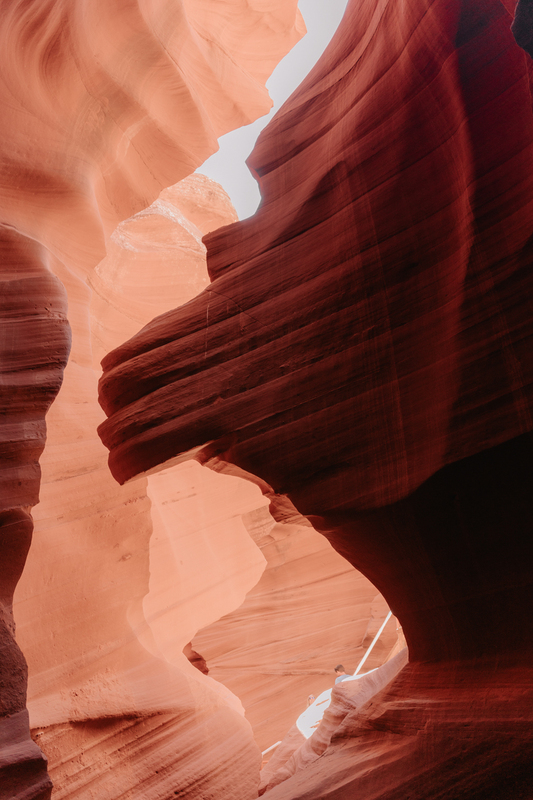 If the light beam is what you are after, visit the Upper Antelope Canyon and make sure to book your tour at 12:30 pm, which is when the light beams shine through. There’s a premium fee for that time slot. 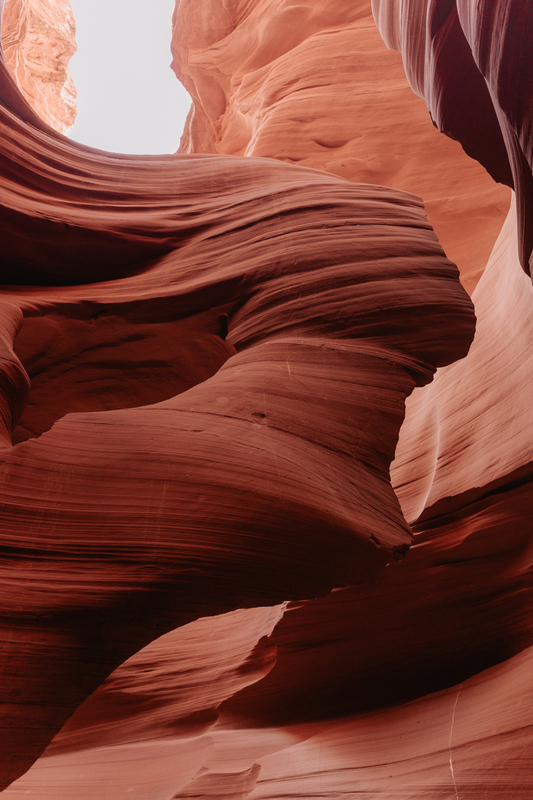 The only way to visit Antelope Canyon is by tour so don't forget to book yours in advance. We were lucky to find tickets as it was low season, but you won’t be so fortunate in the summer. The Grand Canyon National Park is divided into North and South Rim. You may have heard of the West Rim as well, but that’s owned and operated by the Hualapai Indian Tribe, and it’s not part of the National Park. The South Rim is the most visited location at the Grand Canyon National Park. The breathtaking views that you expect from the Grand Canyon, you will find them here. If you are visiting for the first time, I highly recommend the South Rim. Additionally, it’s is open year-round. If you are looking for a more adventurous experience, check out the North Rim. Fewer people tend to visit the North Rim as it is harder to reach and it’s open seasonally May 15th through October 15th. If this is not your first time visiting the Grand Canyon, then I recommend checking it out. The Bright Angel Trail is the most challenging hike I have done so far – if you were nodding in agreement with my previous trail recommendations, I suggest taking it easy here. Go slowly, stay hydrated, eat salty snacks, and rest if you need it. This trail is 6 miles long, but nobody expects you to hike 6 miles (12 miles round-trip) with a 3000 feet elevation difference - and the national park discourages it. The trail has two rest-house and two switch-back recommendations at .45 miles and 2 miles. Despite the scary warnings, the scenery is jaw-dropping. If you make it to the bottom, I heard the plateau point and Indian garden are beautiful as well. For more detail on the Bright Angel Trail, click here. Tip: Our favorite viewpoint was the Navajo Point. We arrived at the Grand Canyon just before sunset and we got to watch it from there. We stayed two nights in the small town of Tusayan, which is right outside of the Grand Canyon South Rim. The hotel range in the area is limited considering the park gets millions of visitors a year. We stayed at the Best Western, and although it wasn’t the most luxurious hotel, it was comfortable and convenient. On our last day, we made our way back to Las Vegas. Since our flight was at 11 pm, we had plenty of time to return the car and have dinner before heading to the airport. The best time to visit the southwest National Park is in spring and winter, which are low seasons. For one, you will find a much smaller crowd, and in some instances, you may be the only person around– perfect for self-discovering moments. During high season, there’s a cap on visitors per day at Zion National Park, and you will most likely end up waiting in line for hours to explore the Antelope Canyon. Another reason to visit in spring or winter: the weather is much pleasant. If you go in February or March, you will most likely find the best weather. You may need a sweater, but at least your chances of a heat stroke are much lower. The average temperature in the summer can easily exceed 100 degrees – hiking in that kind of weather doesn’t sound like fun. TL;DR: visit in the spring or winter if you want to avoid the crowd and the heat.